Piercing to treat migraine is a new as well as thought-provoking trend right now in the world of piercing and body art. 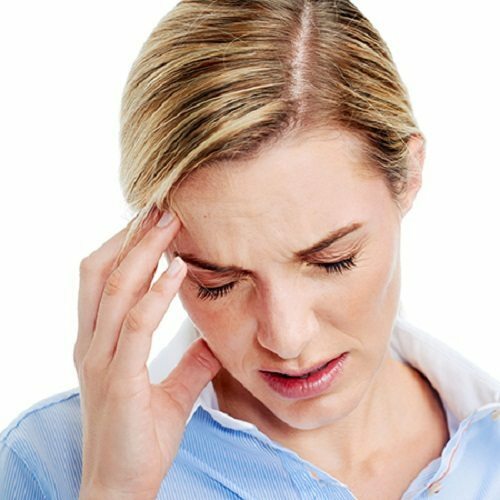 There are millions of people who suffer from certain kind of headache and it is found that one out of five women tend to experience migraine at certain point of their life. Many of them are desperate about finding relief that they just want to try anything out to get find relief. With huge lot of trends coming up every day particularly with the revolution made by social media and internet, this makes health professionals to remain somewhat concerned due to the most part, the trend is unproven, untested and un-researched so there is not any type of science to cover it up. 2 What people think about ear piercing for migraine relief? 4 How ear piercing shows positive effect on migraines? The symptoms of migraine include feeling nausea, sensitivity to sound, light and throwing up. These issues are reported more and more that becomes a growing cause of worry for health professional since these instant-relief fixes might result in infection or more pain. Accenture is one particular trend that is increasingly being promoted and incorporated in western countries as a relief for migraine; however the evidence of its efficacy still remains weak. 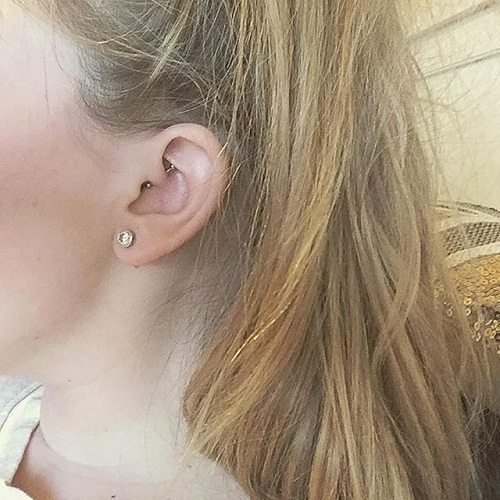 Daith piercing to relieve migraine is another technique that is recently trending as a migraine relief. It is supposedly known to hit the pressure points in the ear that could alleviate pain. Though any of acupuncture or daith piercing is advocated as a proven method to relieve migraine, however it is suggested to use the technique for pain relief after consulting the certified and trained professionals. If you are among the millions of Americans experiencing migraines, you would likely know how severe it can turn. If you are one of those who tried out every kind of medication right from aromatherapy to dietary changes without any sign of relief, there is one untraditional route you must consider, which is Daith piercing. It is because; many sufferers out there are considering it as migraine-fixing miracle. Are you not familiar about Daith piercing? It involves piercing the inner cartilage of ear. Daith piercing is made on a spot that few piercing enthusiasts claim to experience really positive effect over migraines. This unconventional treatment for migraine is also gaining attention among the people in the medical community. Some people who have had a daith piercing have accidentally found improvement with migraine headaches. 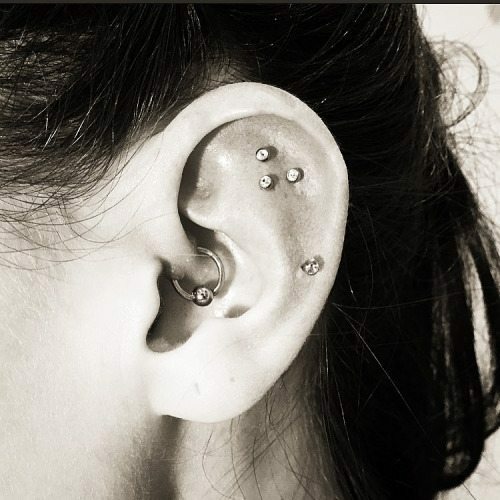 The connection is based on the success for few people with acupuncture at the same spot of daith piercing. No matter, whether you choose to get piercing done in an effort to relieve your headaches or merely for aesthetic purposes, just ensure you get the piercing done by an experienced, reputable professional. Doing this yourself is absolutely not what you should ever try. What people think about ear piercing for migraine relief? Not most of you would have thought that an ear piercing would turned out to be the most talked about relief for migraine, but in the recent times that is exactly what has been happening. News about people getting done with daith piercing in an attempt to relieve migraine has also gone viral. You can make a quick internet search that will reveal plenty of news articles and blog posts on the subject. 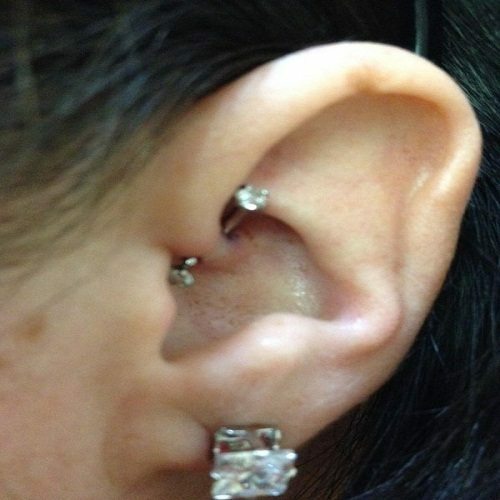 A daith piercing is a kind of piercing done on the innermost cartilage fold of the ear. The study of daith piercings aiding to alleviate migraine is supported by the idea of targeting a particular pressure point and reproducing the principle of acupuncture. Many individuals from social media platforms show willingness to share their positive experiences of daith piercing. It is admitted by most of them that daith piercing has worked for them. Few cited that they experienced a reduction in intensity and frequency of migraines, while nothing else happened to help. Does piercing really work for migraines? There is not much of hard science behind the association between headache relief and daith piercings. Few people have found relief by this technique; however it instantly would not work for all. 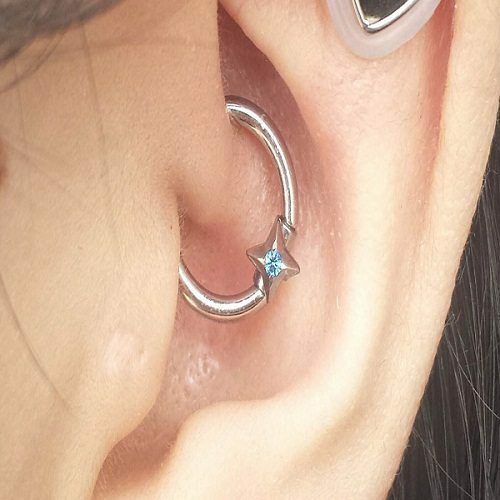 Though daith piercing seems to be a recent trend, the spot of the piercing has actually been the target by acupuncturists to aid cure migraines. Acupuncturists have targeted this spot during sessions and most people experienced short term relief from headache followed by the treatment. According to the report from National Headache Foundation, people suffering from migraines count to millions and especially, women are 3 times likely to experience them than men. This is found to be triggered by regular day-to-day activities, like eating particular foods, getting exposed to fluorescent lighting, watching TV too much and excessive noise. Though there is an obvious medication prescribed, anti-depressants are often prescribed by neurologists to relieve them and there are also over the counter medication like Excedrin that can rarely cut it. With more frustration, the sufferers of migraine have tried several alternatives, including acupuncture, switching their diets, doing yoga and meditation and back again with little success. With open mind, these sorts of alternatives are able to be the solutions. There is a new alternative available in the market now that is simple and cost effective. 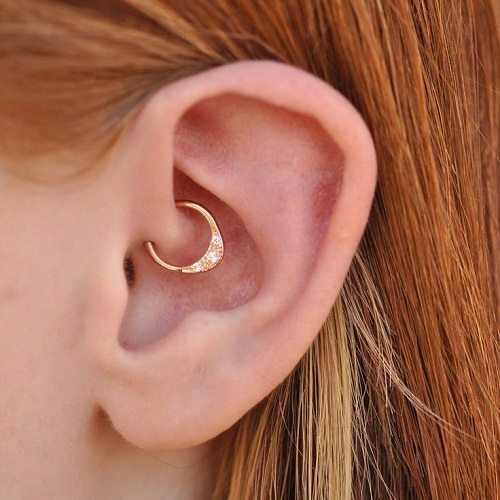 The daith piercing is a piercing of small ring at the inner cartilage of ear, which runs through a point of pressure that for some tends to relieve migraine. It is comparatively a new technique, especially carried out at piercing and tattoo shops with not more statistics to support it yet. How ear piercing shows positive effect on migraines? 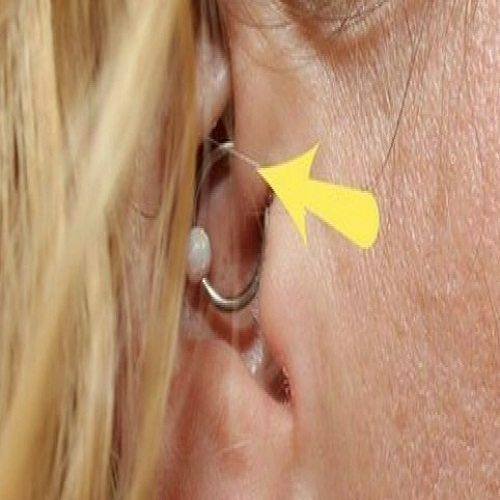 The upper insertion spot of the daith piercing seems to connect with the large intestine point that is incorporated in the Chinese auricular acupuncture. The large intestine channel points are normally chosen for treating migraines and headaches and other kinds of head pain, because of the pathway of channel across the face, but the large intestine ear spot is not commonly used for these issues. There are also other spots in the ear that are more significant for treating migraine. The other points located close daith piercing spot target the small intestine, mouth, oesophagus and appendix. None of these have a specific affinity with migraines or head. The other thing to be noted is the region of acupuncture points at the ear that are very specific. When the piercer is intending to pierce at any of those points, they would certainly want to know how to locate the point accurately. If you wonder that they would be any problem with getting a permanent structure or a hole, at the location of an acupuncture point. It cannot be said for sure; however there are huge instances of traditional methods for changing the tissues at the location of a point. These involves scaring the point by burning, cutting or irritating the spot chemically with herbal pastes. These methods would leave behind a permanent scar at the point. 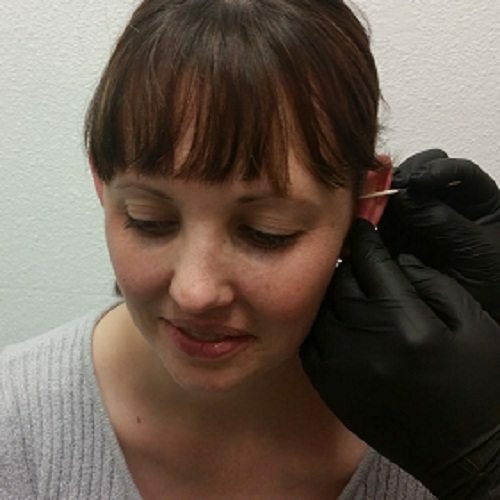 For those who think of getting piercing done for treating migraine, the suggestions from professional would be to attempt some ear acupuncture from a specialized acupuncturist at the spot initially. A sub-dermal stud can be kept in place, for few weeks and this would be a bettwe way of checking whether it is going to be a better treatment. It has also been stated by a reputed doctor that some people with ear piercings have seen improvement with migraine headache coincidentally. He also included that the relation between piercing and migraine relief is evidenced by the success that few people felt. For those who don’t experience any relief from migraine after trying daith piercing, they are recommended to first visit an acupuncturist to test whether targeting that spot assists with migraines. When it works out, it could really be worth having a piercing. Piercings are normally less than hundred dollars, hence this could be a budget-friendly treatment alternative when it works. Like several other treatments for migraine, what really works for one person could possibly make things different or worse for another person. Until clinical proof emerges it is an absolutely an individual choice backed by less-than-informed verdict. 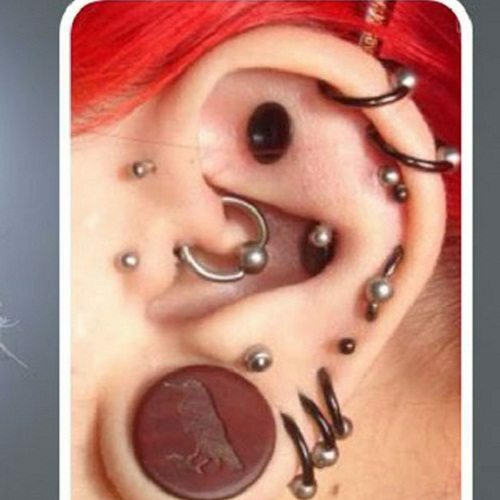 If you really enjoy piercings, this would be a simple decision. Anecdotal feedback recommends you pierce the ear on the location where you often feel your migraine headaches. Stay aware of honeymoon affect. This is actually a term used to describe people’s experience with other migraine treatments. Usually, after every positive and encouraging result for first few months for certain reason you relapse into your old migraine patterns. Ultimately, the decision is all yours. If you want to try it, just ensure you get it done from qualified professionals who are specialized with what they do.